You are viewing a list of Garret Dillahunt's 1 appearance on Brooklyn Nine-Nine. When Jake and Amy are assigned to work a case with the best detective in the NYPD, Detective Dave Majors, they both try impress him. Jake is forced to confront his own feelings for Amy when Majors declares his intention to ask Amy out on a date when the case is over. 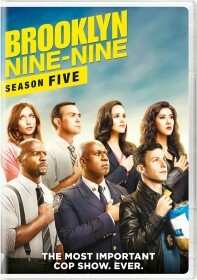 Meanwhile, when Terry considers taking a job at a private security firm, Gina and Boyle try convince him to stay at the Nine-Nine.